Shop the Joybed Comforter - Natural sleep is better sleep. Free delivery in 5 days! Organic Merino wool encased in an organic cotton cover makes this a spectacular comforter. Tempurature regulating and hypo-allergenic, wool is unique in keeping you comfortable as you sleep. Rest well knowing there are no toxins, chemicals or harmful dyes. Crib size: 35" x 35"
Twin size: 68" x 86"
Full/Queen size: 90" x 90"
King size 102" x 90"
Organic Merino wool is known as being among the best, highest quality wool around. Organic certification (and cotton cover too) means you know there're no harmful chemicals, additives or dyes, so you can rest well that it's safe. Wool's naturally hypo-allergenic, and it also helps regulate tempurature keeping you warm when it's cool, and cool when it's hot. A cool sleeping environment helps you sleep deep. Wool is a protein fiber from sheep, so it’s 100% natural and not man-made. And modern science hasn’t been able to produce a fiber that matches its unique properties. Sheep produce a new fleece every year, making wool a renewable fiber source. The people who grow wool - woolgrowers - work hard to safeguard the environment, improve efficiency, and to make the industry sustainable for the future. 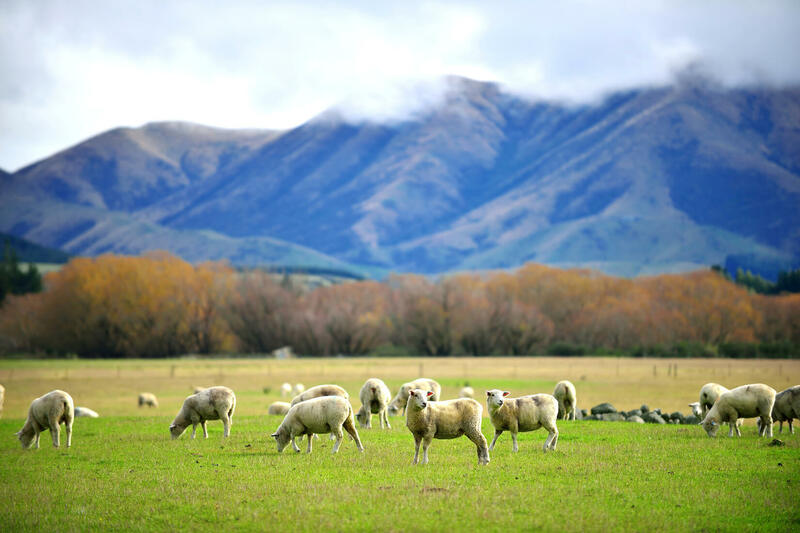 Unlike synthetic textiles which are slow to break down, wool can be easily disposed underground, because it decomposes quickly and releases its nutrients back into the earth. Because it is a hygroscopic fiber, wool naturally absorbs and releases moisture. This process generates heat which in turn acts as insulation and maintains consistent temperatures, both in cold and warm weather. Like magic, but it’s just what wool does. Wool fibers have millions of tiny pockets of air. Wool fibers are crimped (vs synthetic fibers which are smooth) and so the unique structure allows wool to absorb and release moisture while maintaining thermal efficiency, and also be extremely breathable. Wool is also naturally anti-static. Read more at The Campaign for Wool. IT'S ALL NATURAL – WE ALSO EAT IT! Cotton is both a food and a fiber crop. Besides textile uses, cotton seed is used in things like cooking and salad dressings. It’s also high in vitamin E. About half of the weight of picked cotton, is cotton seed, used for food. Farmers plant and harvest cotton every year, making cotton a sustainable, renewable fiber crop. Unlike synthetic foams which are do not break down, and can clog landfills, cotton is easily disposed underground where it decomposes very quickly and its nutrients are released back into the earth. Cotton is a soft, absorbent and breathable natural fiber making it a perfect material for bedding. Cotton keeps you cool in the summer and warm in the winter because it’s a good conductor of heat. Cotton, due to its unique fiber structure, breathes better than oil based synthetic materials. Simply put, that’s why we love wearing cotton clothing and sleeping in cotton sheets. Cotton is also naturally anti-static and is unable to hold an electric charge. Cotton is naturally safe. Synthetics and foam materials cannot make this claim – but cotton can! Cotton is naturally non-allergenic, and unlike synthetic fibers or foams, is a natural product that contains no chemicals. Is a Joybed Mattress Organic? We use GOTS Certified Organic material for the cover of the mattress. We believe it’s important to provide the purest, organic material that is closest to your body. Underneath the Organic cover, for natural bed materials we use cotton and wool. In order to keep prices affordable we’ve chosen high quality, non-organic certified cotton and wool. Inside the mattress, the incremental benefits of organic are minimal and not worth the increased prices. Tell Me More About Your Return Policy? 100% Money Back - Let's start with that! When your mattress arrives, you can try it for 120 nights in your own home. This gives you the time to really make sure that this bed is right for you. A long trial period is important so you have plenty of time to get adjusted to a new bed. And if you're not completely happy with your Joybed, no problem, we'll arrange for a pick up or local donation and give you back 100% of your money. Just give us a call at 877-601-7035 and we'll make arrangements. We don't resell returned mattresses. Where Do You Deliver? When Can I Expect Delivery? Mattresses and foundations ship out in 1 to 2 business days with UPS or similar delivery companies, and they deliver to your front door in 3 to 5 business days, to most zip codes. Linens and bedding will ship and arrive separately. How Firm / Soft is a Joybed? Joybed LX Luxury Firm is 3.5 - Firm, but not too hard. Good for back or stomach sleepers, and side sleepers if you like a firm mattress. Joybed LXC All-Cotton Medium is 4.5 - Medium feeling. Ideal for all sleeping positions, it's a good "compromise" comfort that'll appeal to most people. Joybed LXP Luxury Plush is 6.5 - Soft, but not excessively so. Good for back and side sleepers. All of our beds provide consistent back support. You don't need a firm mattress for extra back support. So you can choose the comfort feel based on your personal preference. Can I get In-Home Delivery? How Do I Remove My Old Mattress? Joybeds can arrange delivery of your new mattress with a specialized carrier that will bring in and set up your new Joybed as well as remove your old mattress. This service is available by phone for $150. It does take 1-2 weeks for delivery. Just let us know if this option interests you at 1-877-601-7035. Your garbage company may take large items, check with them on their policies. Local and national charities such as The Furniture Bank are sometimes looking for a good used mattress. Specialized trash companies like 1-800-Got-Junk will come and remove an item for a fee. Put it up for sale or donation on community boards or sites like craigslist. Paypal Financing - you can checkout online. Select the Paypal payment option, then choose Paypal Credit. 6 months No Interest if paid in full. Synchrony Financing - There are longer financing options available over the phone, just call in to learn more at 877-601-7035 . Progressive Leasing - No credit financing option available over the phone, just call in to learn more at 877-601-7035. What is the Mattress Warranty? ready for a better night’s sleep?